In our quest for a 100 per cent improvement in top speed from our Honda MB50 project bike, recent MIRA speed trials have put us 60 per cent of the way there. When we first obtained the machine it was speed trapped at MIRA in stock form at 31 mph and with a standing quarter-mile of 33 sec. The news is now a top speed of 49.70 mph and a standing quarter time of 24.27 secs electronically timed at MIRA. 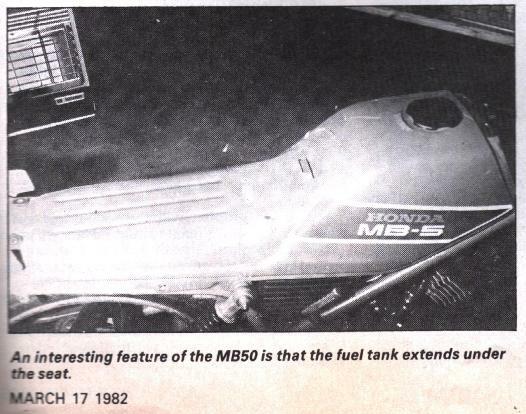 It was on the standing quarter run that the Honda recorded its best top speed. This indicates that it might have been able to pull slightly higher gearing for the top speed runs and break into the 50 mph bracket. But after reflecting on the results we concluded that it was rather too much too soon. After all a 60 per cent improvement in top speed is not to be sneezed at. To find out exactly what has been done to the engine you will have to look back to our first two parts reported in the January 6-19 february 3-16 issues. After completing the tuning modifications detailed in those issues the next step was to examine the air box. 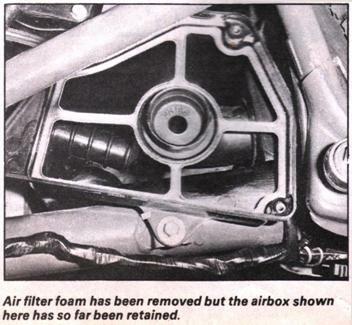 In order to give the carburettor, bored from 14 to 17mm, a better chance to breathe, the air filter sponge was removed. The air box was left in place. Since the object of the exercise is to get performance from the engine as an initial project the removal of the filter was justified. At least leaving the air box with its intake and exit trumpets in place cuts down on the likelihood of particles of any size getting into the motor. With the intake system modified to quite an extent it was hoped the engine would breathe harder. Consequently it would need a larger main jet to allow more fuel to pass into the engine. 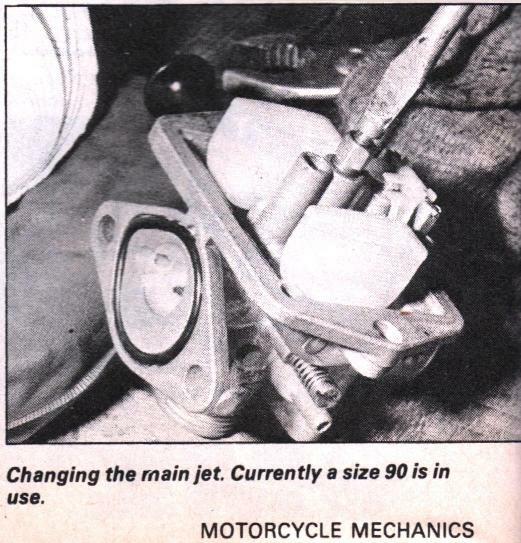 The carburettor was set with its needle pegged in its lowest groove i.e. so that it was high as possible when at rest. This enrichens the mid range mixture. 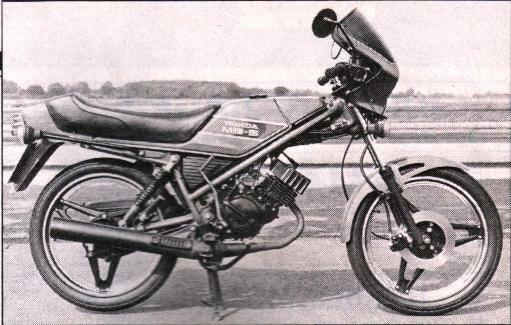 In standard form, a size 60 Keihin main jet was found to be fitted. This was replaced by a size 65 as a starting point. With the engine completely reassembled and ready to go it was fired up, and although it ran it was not able to pull at high revs. The carburettor was removed to check to float height. But the float is a plastic item which is not really adjustable. So the 65 main jet was subsituted by a size 70. This was a vast improvement. It may have been that some dirt has found its way into the carb and fuel lines while the machine has been standing, thus not giving the 65 a chance. Whatever, the oversuited rider I had collared to give it a quick try in the lower gears outside our workshop said it was going well. Since it was raining and late evening I took his word and made plans to get it to MIRA at a later date. Two days later we were at the MIRA proving ground in Warwickshire. The Honda fired willingly but needed a lot choke. This all pointed to too small a main jet. Checking the new harder grade B9ES NGK plug showed that the problem wasn't drastic so the Honda was run through the lights giving a standing quarter of 25.61 sec / 45.96mph terminal, and top gear roll on from 30mph indicated of 22.76sec / 47.33mphterminal speed which was also its highest speed. Pushing the choke off simply slowed the bike down. So a size 90 jet replaced the size 70. This was much better. the engine revved out with the choke off. it pulled almost 10,000rpm in the lower gears and went through the lights in top (fifth) at 9500rpm. In its previous restricted form it had run out of useful power at 7000rpm. The engine also responded to the throttle much better. While restricted it was slow to respond, gaining revs gradually like a turbine. 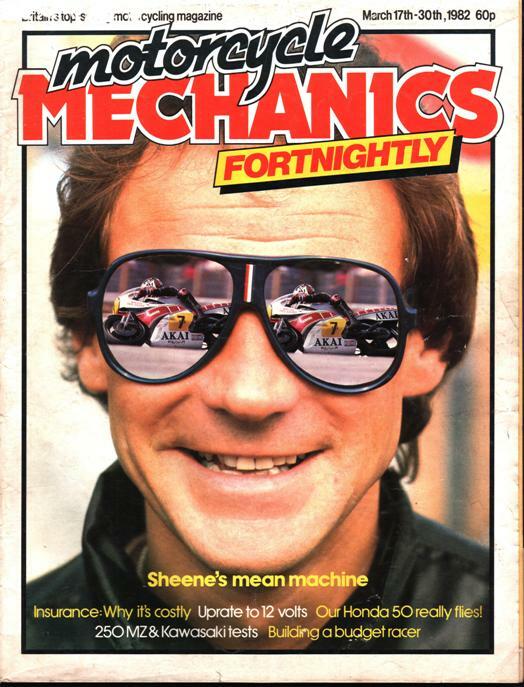 Now it was crisp and instantaneous like a performance two stroke should be. The engine felt like it wanted to be revved. Not much happened below 6000rpm, but above that it sung out, freed at last from its red tape restrictions and promising more power to come with the right modifications. the standing quarter time improved marginally to 24.27 sec / 49.51 mph terminal, and top gear roll on to 22.40 sec / 49.70 mph terminal which also turned out to be its best speed. That day we were blessed with a strong tail wind which obviously helped tthe speeds. It would have been nice to try a few more runs just to crack the 50 mph barrier. but the track was booked to another party and our time was up. At least this first speed session had proved that the Honda detailed modifications (part1) and those of our own were on the right track. Since it was already pulling 9500rpm in top, higher gearing will be necessary for possible future increases in speed. The drive sprocket has already been increased from the standard 12 to a 14 tooth FM sprockets item. There's no more space for a bigger one so a smaller rear sprocket will be needed at the back. What's it like on the road? More than 100 per cent better than it was in stock trim. The best top speed so far has been when a lorry overtook me and the slipstream let the revsrise to 10800rpm which computes to 56.5mph - way off the 46mph speedo. The bestspeed downhill has been 55.5mph at 10,600rpm. That 60mph initial goal is not that far away! Over 100 flat-out road miles have proved that the jetting meets the engines requirements. Best of all the Honda climbs the Northamptonshire hills in top gear. Before it was tuned the occasional downchange was necessary. Also I can actually overtake cars. 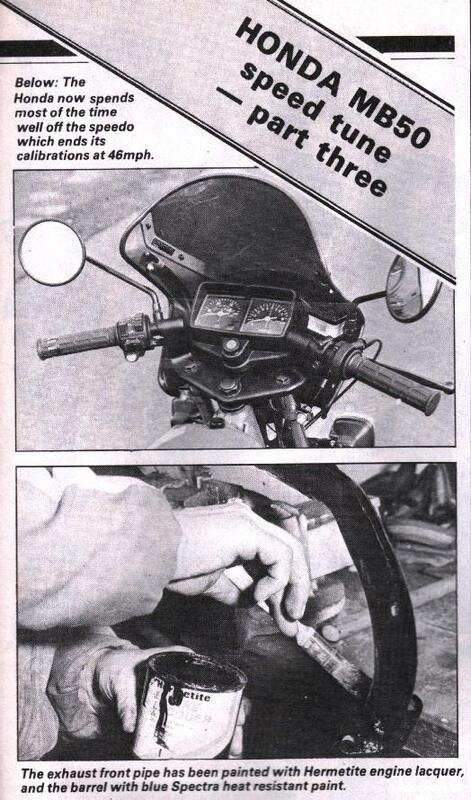 the needle rarely drops below 40mph indicated and the bikeis much safer in that it can keep up with traffic flow. At last the brakes and suspension have some work to do. The good news is that they are well up to the increases in performance.